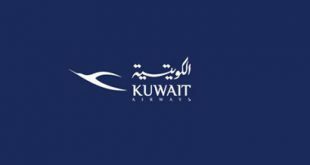 KUWAIT CITY, July 9, (Agencies): Kuwait Airways, announced today that its passengers will be able to carry personal electronic items on board all USbound flights, departing from Kuwait International Airport. 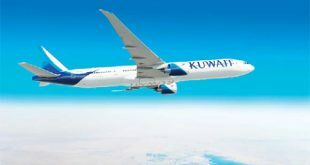 The US Transportation Security Administration lifted the ban on electronic devices onboard Kuwait Airways flights after US officials inspected the security measures on Kuwait Airways flights. 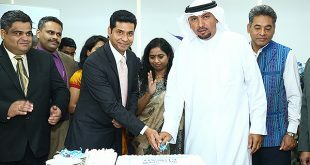 Following this announcement, passengers onboard Kuwait Airways flights from Kuwait International Airport to JFK Airport in New York will be able to enjoy uninterrupted use of all of their personal electronic devices. Meanwhile, the electronic devices ban has been lifted for Royal Jordanian’s flights from Amman’s Queen Alia International Airport to the US effective today July 9, 2017.
RJ President/CEO Stefan Pichler said: “Enhanced security measures are now implemented to meet the requirements of the US Department of Homeland Security’s new security guidelines for all US bound flights.” He added: “We are glad that our guests can now fly onboard RJ and use their electronic devices. We highly appreciate our passengers’ patience and understanding during the time of the ban.” On March 24 this year, passengers flying from Amman directly to the US were banned from carrying electronic and electrical devices in the aircraft cabin. The United States imposed the ban on direct flights originating at 10 airports in eight countries: Egypt, Morocco, Jordan, the United Arab Emirates, Saudi Arabia, Kuwait, Qatar and Turkey. Royal Jordanian operates 16 weekly non-stop flights to three US cities: daily flights to each of Chicago and New York, and two weekly flights to Detroit. Jordan’s flag carrier joins Emirates, Etihad Airways, Qatar Airways and Turkish Airline who each announced last week a lifting of the ban. In March, the United States banned laptops and other large electronic devices on direct flights originating at 10 airports in eight countries — Egypt, Morocco, Jordan, the United Arab Emirates, Saudi Arabia, Kuwait, Qatar and Turkey — to address fears that bombs could be concealed in electronic devices taken aboard aircraft. US officials did not immediately respond to a request for comment on the lifting of the ban affecting Royal Jordanian. The airline is the only carrier to fly direct to the United States from Amman. The United States announced on June 29 enhanced security measures for flights to the country which require additional time to screen passengers and personal electronic devices for possible explosives. The new US security measures, which take effect within three weeks of the announcement, will affect around 325,000 passengers a day travelling on 180 airlines from 280 airports around the world, according to the US Department of Homeland Security. Airlines that fail to meet the new security requirements could still face in-cabin restrictions on electronic devices. Saudi Arabian Airlines (Saudia) has said it expects the ban to be lifted on flights from Jeddah and Riyadh by July 19. Royal Air Maroc also believes it can have the ban lifted for flights out of Casablanca’s Mohammed V International Airport by July 19, a senior official from the state-owned airline told Reuters on July 6.